Ontario school boards want more resources for students with severe disabilities after a significant change to the province’s autism program that they fear could bring children into classrooms full-time without proper supports. Families who have children in the program currently receive full funding for intensive therapy. The change, which comes into effect on April 1, allocates funds based on age and household income, and would reduce access for some children. The Progressive Conservative government says the change would spread the resources among all families and clear the waiting list of 23,000. Ontario Education Minister Lisa Thompson attends Question Period at the Ontario Legislature in Toronto on Thursday, Aug. 2, 2018. Many of the children receiving intensive therapy under the current system are on a modified school schedule, where they might attend half days or only a couple of times a week. The cut in funding could leave parents with little choice but to put their children in school more frequently, or even full-time. Several school boards are wondering how they will manage, and are writing to Education Minister Lisa Thompson to outline their worries. Ms. Grebenc said in an interview on Wednesday that her district has almost 600 students with autism, which equals about 1 per cent of the total student population, but many have high needs. She said staff are surveying schools to see the effects of the autism program change. Ms. Thompson indicated during Question Period on Wednesday in the legislature that more details on supporting school districts would be coming shortly. Her spokeswoman, Kayla Iafelice, said in an e-mail statement that the government will work with school boards to support the transition of students to school. “At the end of the day, it’s our number one priority to make sure each student in this province feels safe and supported in the classroom, and that includes students with autism spectrum disorder,” Ms. Iafelice said. Several boards say they spend more on special education than the province allocates for it. Halton, for example, takes $20-million from other areas of its budget “due to the complex and rising needs of students,” Ms. Grebenc wrote in her letter on behalf of the board. Alex Johnstone, chair of the Hamilton-Wentworth District School Board, said districts have welcomed students with unique needs, including Syrian refugees, and the government reimbursed them for additional money spent. 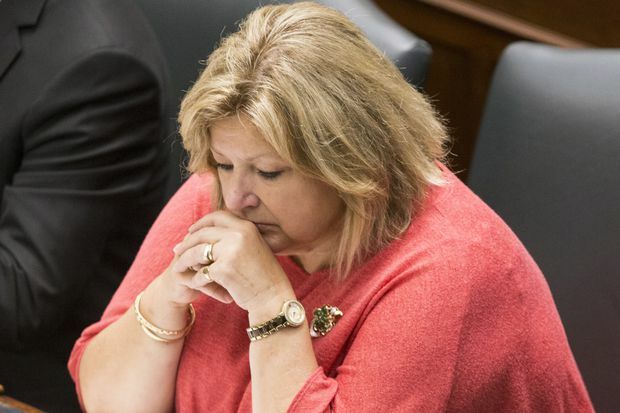 The autism program was a “major discussion topic” at a directors’ meeting this month, according to the Ontario Public School Boards’ Association, which also sent a letter of concern to the minister. But she added that budgets are already stretched.